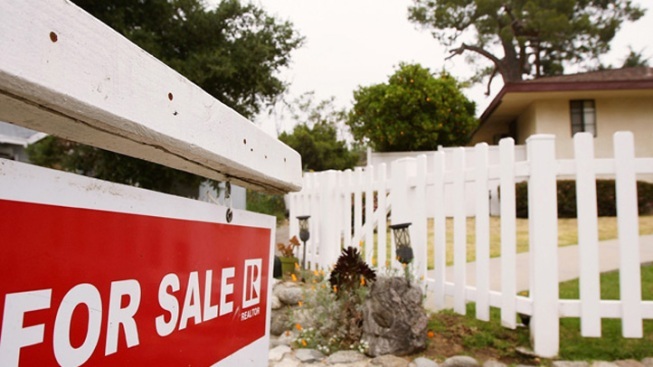 Some Americans will soon be able to buy a home with a down payment as low as 3 percent, compared with the current minimum of 5 percent, the mortgage giants Fannie Mae and Freddie Mac say. The new lending guidelines announced by the companies Monday are designed to help more low-income and first-time buyers afford homes. Millions of Americans lost their savings or no longer had the income needed to set aside money for a home in the aftermath of the 2008 financial crisis and the Great Recession. That has held down the sales of houses and condominiums and slowed the economic recovery. The guidelines are designed to prevent the kind of reckless lending that fueled a housing bubble and eventually triggered the recession. Borrowers must have enough income to repay loans on a monthly basis for homes that would be their main residence. This guideline would be intended to limit financial speculation. "These underwriting guidelines provide a responsible approach to improving access to credit while ensuring safe and sound lending practices," Mel Watt, director of the Federal Housing Finance Agency, said in a statement. The FHFA oversees Fannie and Freddie, which have been under government control since 2008 because of the housing bust. Watt had announced in October that Fannie and Freddie had reached an agreement with major banks to expand lending. The FHFA declined Monday to say how many borrowers might benefit from having a 3 percent down payment. The standard down payment for mortgages insured through Fannie and Freddie has been 20 percent. That would mean that a first-time buyer would need $41,600 in cash to purchase a median-priced home of $208,300, according to the National Association of Realtors. Just 29 percent of home purchases in October went to first-time buyers, compared with a historic average of 40 percent, the Realtors reported. The new loans would be fixed-rate mortgages of up to 30 years for primary residences, though some policies vary between the companies. Fannie could begin underwriting the loans before the end of the year. It said the loans would be geared toward first-time buyers, require mortgage insurance payments because of the low down payment and mandate that buyers receive complete a financial counseling program. Freddie intends to begin offering its mortgages as early as March 2015, saying it would be an option for low- and moderate-income borrowers. It requires that borrowers earn less than an area's median income, in addition to paying insurance and receiving counseling. Monthly payments could not exceed 43 percent of the borrower's income. The government took over Fannie and Freddie in September 2008, after a market meltdown compounded the losses caused by risky mortgages and threatened to shut down the entire housing sector. Combined, the firms received taxpayer aid totaling $187 billion, which has since been repaid as they have returned to profitability.